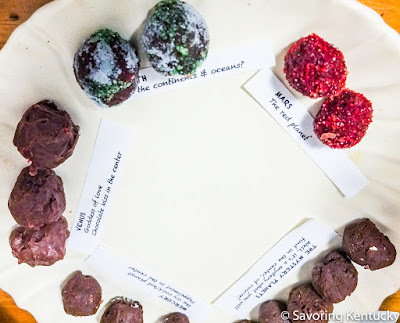 Cornbread Suppers: The Solar System Is Chocolate! Of Course It Is! Cornbread Suppers have been whopper recently. 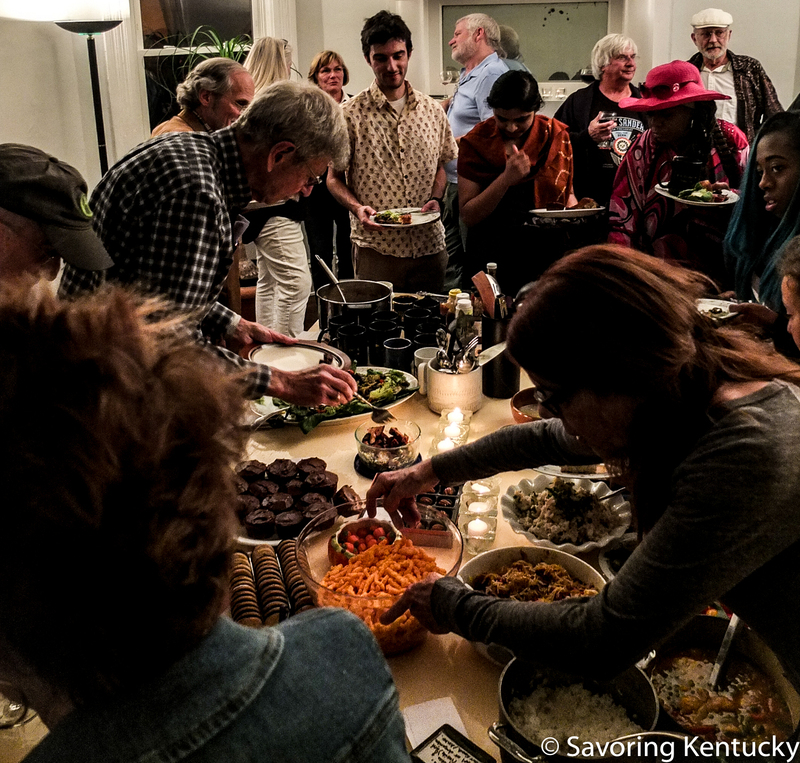 This week, on the eve of the long-awaited presidential election of 2016, we sang happy birthday to a Cornbread Community regular who turned twelve on Monday, and wanted to be among friends at Cornbread Supper. The table held extraordinary food: salads, homemade chocolate birthday cupcakes, pumpkiny cupcakes, stews, macs-n-cheeses (including gluten free), veggies, pickles, bourbon balls, bourbon cake, rice dishes, exquisite petits fours, fried chicken, homemade applesauce from homegrown applesauce, Cheetos and cornbread. One of the remarkable treats: a young Cornbread Community member's clever, handmade chocolate truffles, made with characteristics relevant to each planet in our solar system. Here's the plate as he was setting it up. Earth? Extremely delicious—speaking from experience.